If you ever need door installation Gateway, Washington DC assistance, look no further than King Door and Lock Maryland and DC. We provide you with flawless door professional services. Do you need to replace your current battered entry door? Is your garage door in such lousy condition that you can hardly get it to open nowadays? It is particularly important for businesses to have well-designed and proper entrance doors. It doesn’t matter what style of door you need, King Door and Lock offers 24/7/365 Gateway services. The team at King Door and Lock exceeds expectations in repairing and replacing a myriad of household doors. Is your storm door falling off its hinges or seen better times in terms of the shape the door itself is in? Our skilled and dependable experts will try to find the issue and, inform you precisely what a storm door repair or storm door installation will cost you. 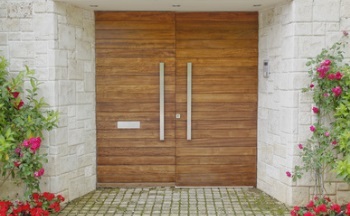 Entry doors make known the personality of your residence and convey an image of the people that reside there. An entrance door installation with King Door and Lock gives off professionalism, workmanship, and high caliber to anybody that walks through it. We are up-front with regards to our entrance door replacement and repair costs. You’ll have confidence in the work that we perform when installing any of your doors. Aside from servicing front doors, we can also work on back doors or patio doors. Depending on how faulty the door in question is, we are able to either complete a patio door repair or total replacement. Our very skilled door specialists deliver only the most premium door repair and door installation Gateway solutions. Door repair, replacement, and installation requirements for businesses may be greatly different from a residence, so be sure to seek the services of specialists in commercial door repair and installation. Industrial doors need to be constructed out of heavy duty craftsmanship to deal with their repeated use on a daily basis. Most of these doors will likely contain far more sophisticated built-in locking components compared to the ordinary door knob together with a key hole located in most households. You will definitely prefer our professional technicians dealing with your storefront door. We also recognize, being a business ourselves, that you are constantly keeping track of your financial well being. King Door and Lock Maryland and DC is certain that you won’t find a better value with regard to door replacement or door repair than our company offers. Watch out for companies with extremely cheap prices as it’s very possible that their work will be of reduced quality. To make it easier for you, King Door and Lock uses upfront pricing to ensure no surprise fees. If you happen to currently have a garage door but it really isn’t working properly, contact King Door and Lock for top quality garage door repair in MD and Washington DC. For the exact same explanations listed above, you need to make certain that garage door repair is carried out correctly the very first time to safeguard the valuable items you keep in there. Our skilled experts will check out your garage door and tell you if it needs replacing or perhaps if it can simply be repaired. We will tell you what it will cost in advance so there won’t be any surprises when you receive the invoice. Remodeling your dwelling in the Gateway area and adding on a garage? Let King Door and Lock Maryland and DC work on your garage door replacement. Because of the various parts of a garage door, it is imperative that you employ the service of experts for the task. Your garage is the ‘home’ for your vehicle and assorted additional things that many of us store in there: lawn mowers, leaf blowers, bikes, and so forth. Because of the number of items that many of us keep in our garages, it is important that they’re secure and working appropriately. You need the job done correctly by our highly skilled techs making use of their advanced tools and equipment that allow them to take care of any job of this nature. In case your commercial building is in need of garage door repair or installation, then we are your knowledgeable and skilled specialists for commercial garage door replacement and repair. Make the most of our full door services so our company can help your company to thrive. Our fast and pleasant specialists can get to your office promptly to inform you precisely what your repair or replacement will cost you. We will subsequently manage the job efficiently and with courtesy so you can give attention to your own business. The workers at King Door and Lock Maryland and DC are your door industry experts. For door installation Gateway, DC services, contact us. We deliver total door solutions: door installation, door repair, door replacement. 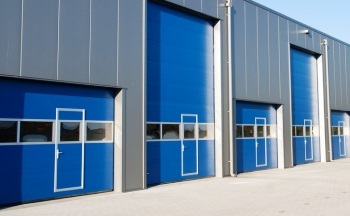 Our 24/7 door services covers household doors, industrial doors, and garage doors. King Door and Lock services not only exterior doors, but also excels at interior door repair and replacement for houses or companies. This can include pocket doors, hinged doors, and sliding glass doors. Our specialists will initially consider exactly what is required to be carried out. Maybe you won’t need to have a whole new door. It may be a question of a door jamb repair or a door hinge repair. If the door frame is damaged, then perhaps a door frame repair is all that’ll be necessary. Our experts will isolate the situation, find out what in fact is required to be done, and then offer you up front prices so you’ve got the knowledge you will need to make an informed decision. If you are in Gateway and the surrounding region, call us right now. We are here for you round the clock! Our Door Installation Gateway, DC Services https://kingdoorandlock.com/dc-door-installation/gateway/ 4.2/5 based upon 8 reviews.